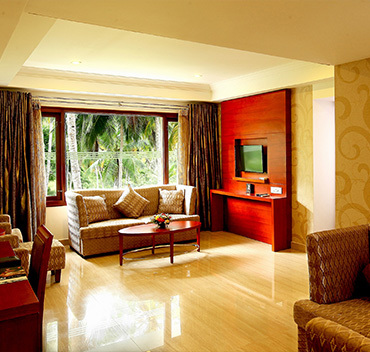 Relax in turn of the century splendor in a Deluxe Delight at Lake Palace, one of the finest five-star hotel in Trivandrum. 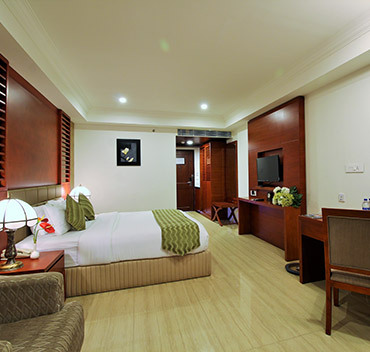 Ideal for business and leisure travelers, these rooms are appointed with rich fabrics, classical art and wooden furniture. 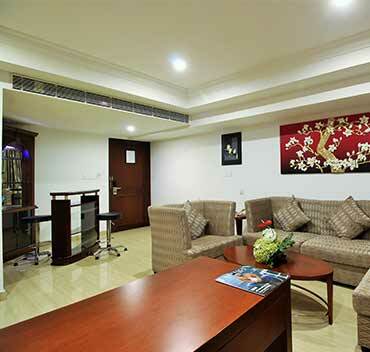 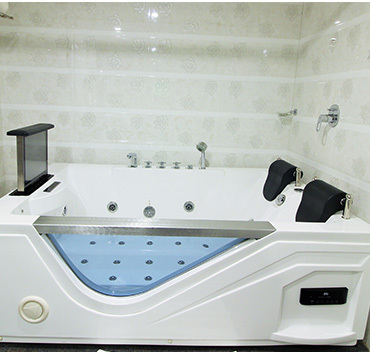 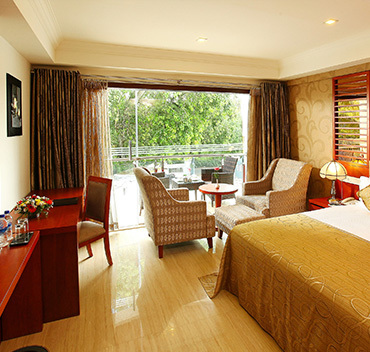 Each one is individually decorated and features a cozy bed, sitting area with a desk, and a luxurious bathroom. 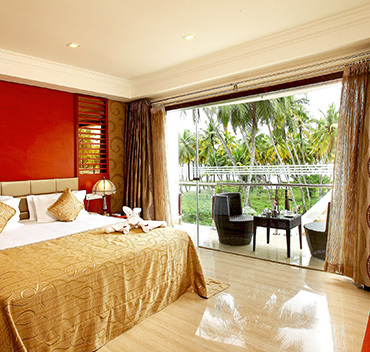 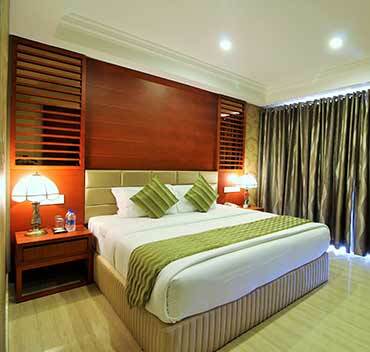 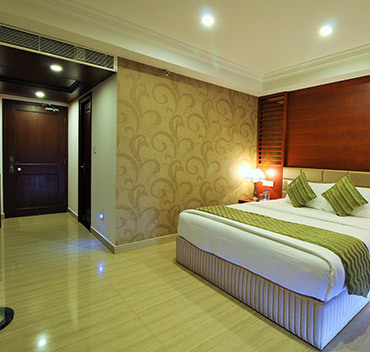 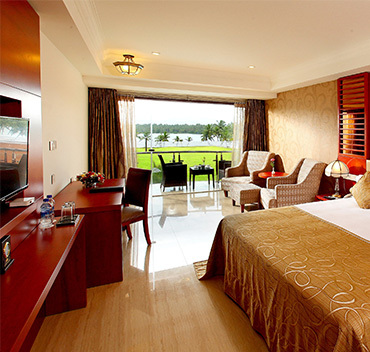 Overlooking the serene Kadinamkulam Lake, our Lake View rooms are perfect for guests looking for a little more privacy. 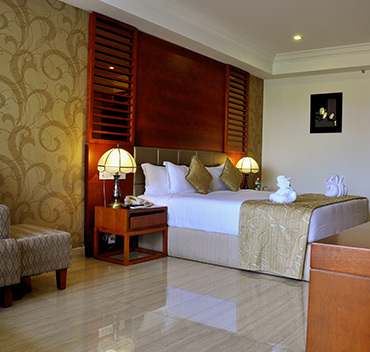 Lake View Delight features elegant colored walls and rich textile furnishings. 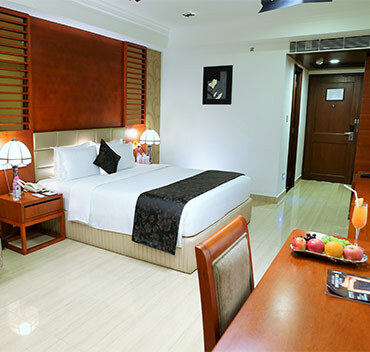 A spacious bedroom includes our signature Blissful Bed, Jacuzzi while a sitting and dining area allows for entertaining in the balcony. 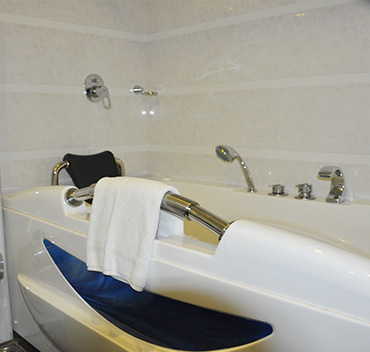 As your relaxing evening draws to a close, unwind with a hot bath. 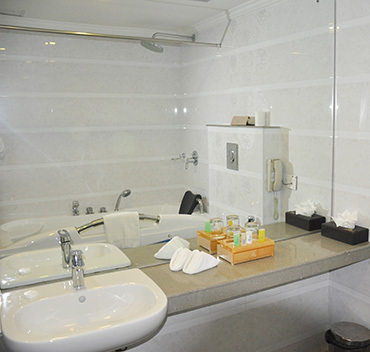 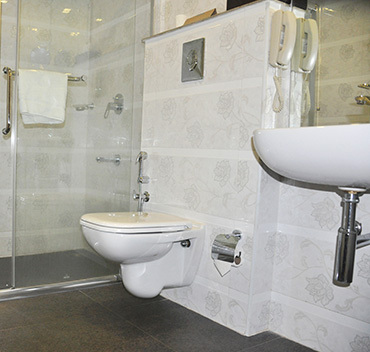 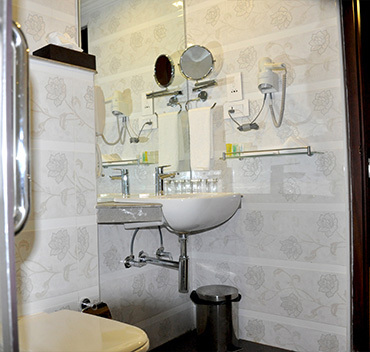 Your suite's private bathroom comes equipped with a spacious twin Jacuzzi, shower, and even a TV for entertainment. 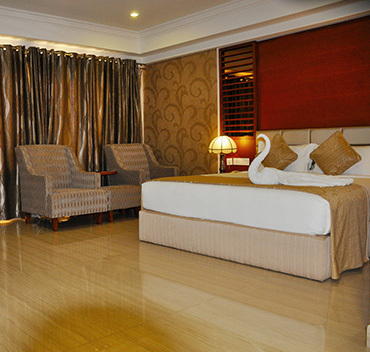 Once finished, sink into your comfortable bed and revel in a level of silence only possible at a distinguished resort such as The Lake Palace. 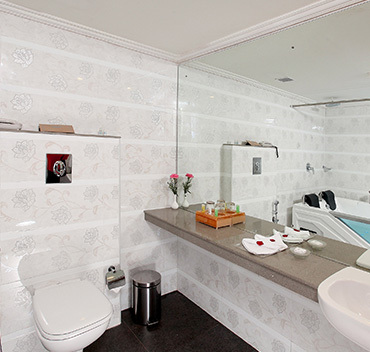 This meticulously and warmly decorated home will make you never want to leave.